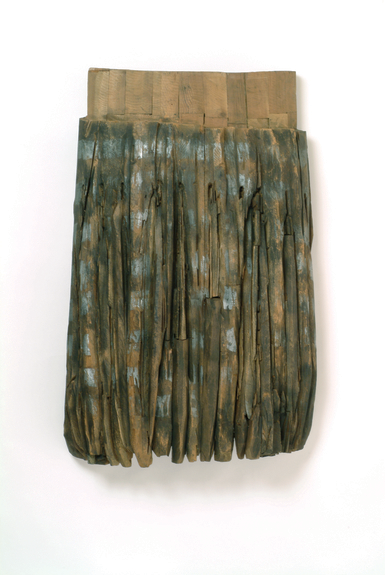 Odundo’s earthenware vessel Untitled #10 is on view at NMWA. Characteristic of Odundo’s ceramics, the work in Pathmakers incorporates a bulbous shape, an elegant, elongated neck, and an upturned mouth. Although her works are born out of deeply rooted traditional processes, Odundo’s sleek, evocative works are truly modern creations. The artistic practice of Magdalene Odundo (b. 1950, Nairobi, Kenya) draws from an array of cultural traditions. She began her artistic career in Kenya and studied pottery in England, receiving a master’s degree from the Royal College of Art in London. Through traveling, Odundo adopted indigenous ceramic techniques from master potters in Kenya and West African traditions in Nigeria. She was also greatly influenced by Pueblo potters’ blackware in the American Southwest. Odundo works and resides in London. Many of Odundo’s works are reminiscent of the human form. Small adjustments in her clay vessels have a dramatic impact on each work’s overall aesthetic—seen in the slight bend in the neck of Untitled #10. 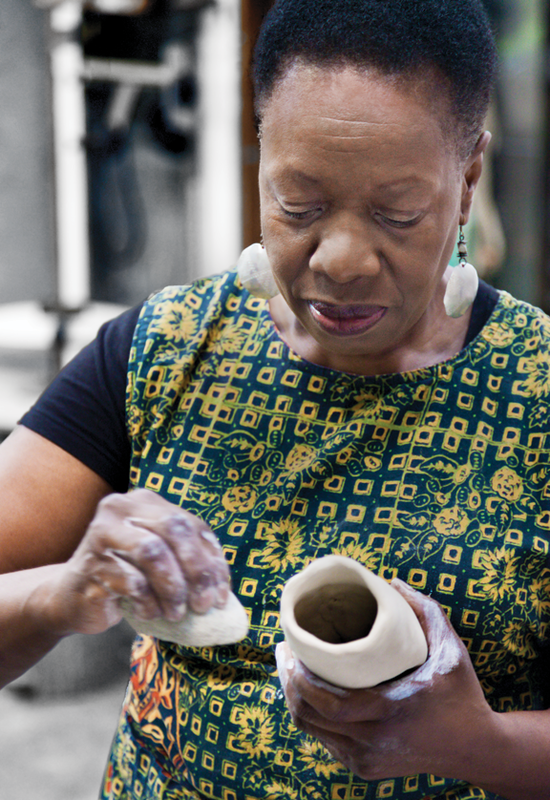 Rather than throwing on a wheel, she uses a hand-coiling method—a practice used worldwide for thousands of years. After stacking clay coils on top of one another, she pulls the clay upward, scraping the coils into smooth structures while hollowing out the bodies. She then burnishes each surface to a high sheen. The most transformative step in Odundo’s process occurs during firing. 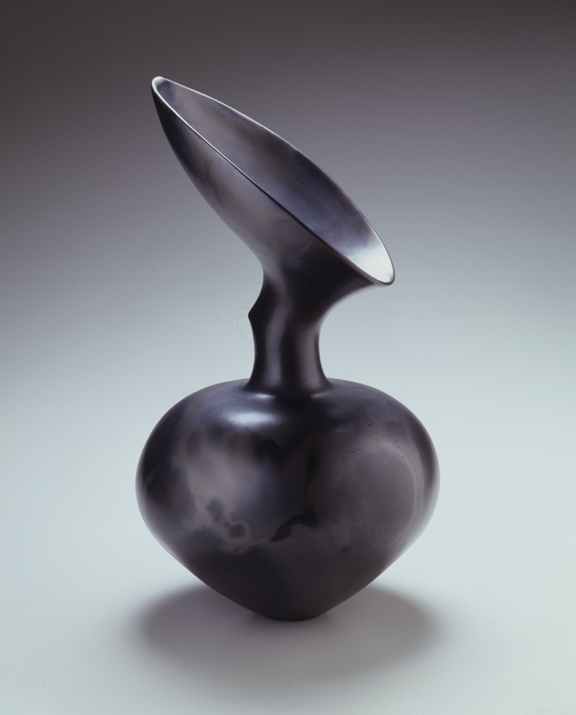 Many of her works, including Untitled #10, have a black, smoky finish as a result of oxidization during firing. 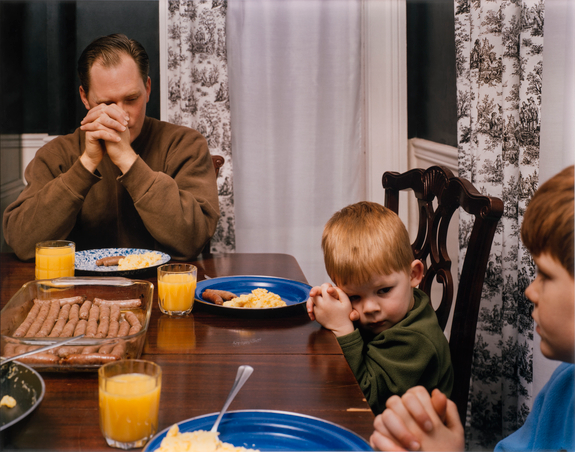 Works such as Untitled #10 are so labor-intensive that she creates only a few each year. 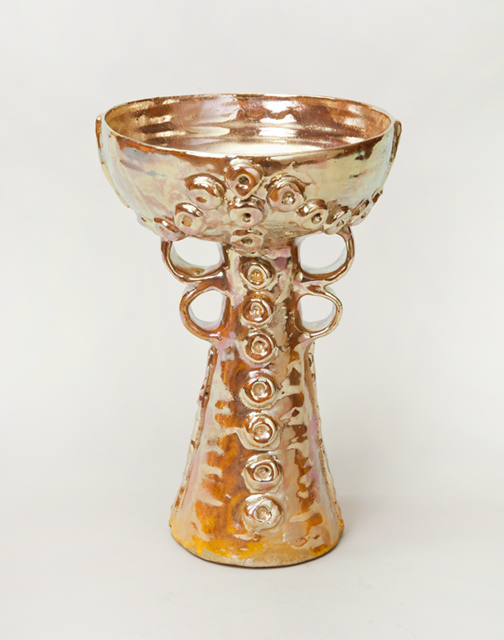 In NMWA’s collection, Gold Chalice (1985) by Beatrice Wood (1893–1998) is also a polished ceramic vessel. In iridescent shades of gold, pink, and purple, this work seems exuberant. The vessel’s luster glaze heightens its curvilinear surfaces. Additional ornamentation consisting of multiple looped handles and circular knobs may allude to the ceremonial function of a chalice. Wood was renowned for gleaming lusterware objects—produced from metallic salts on the glaze’s surface. Devoted to experimentation and exploration, Wood often tossed chemicals (including mothballs) into her kiln to influence the effects of firing. Wood created Gold Chalice when she was 92 years old. After careers as an actress and Dada artist, Wood became a studio potter. Wood worked in Ojai, California, from 1947 until her death at age 105.